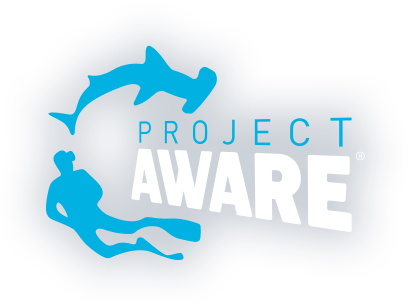 Join us at Central Oregon Diving for a Project AWARE® workshop on May 13th from 5:30 PM – 9:00 PM and learn how you can help preserve our oceans. We believe in a people-powered movement. We believe that each of us, every day, has the power to engage in making the world a better place. We don't just want to conserve the ocean - we want to live in a world where the ocean no longer needs protecting. Workshop is open to the public. No pre-study required! Cost of the workshop is $55 and if you’re doing the Master Scuba Diver Challenge this summer, this course counts toward your goal. Pre-register at the shop by May 11th. Everyone likes to scuba dive or snorkel in warm, clear water on a vibrant coral reef, yet many people know little about what they’re seeing or the importance of reef ecosystems. The Coral Reef Conservation Workshop helps you appreciate the complexity of these habitats and teaches you how you can help conserve these vital systems. 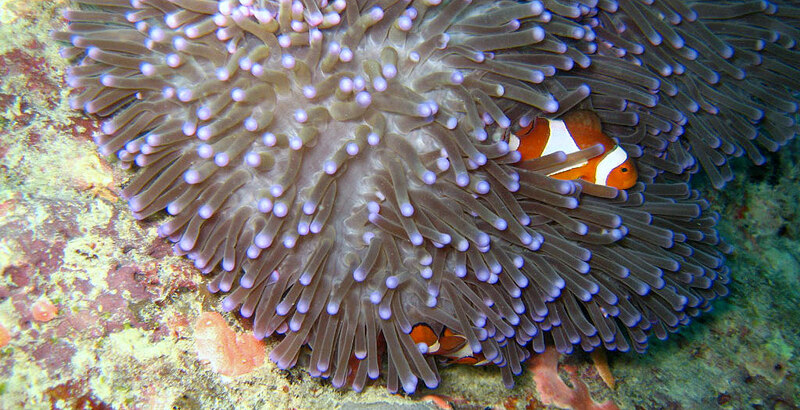 Anyone who has an interest in the aquatic world can take this course. There are no prerequisites or age restrictions and no water sessions are required to earn this non-diving certification. No pre-study is required for this course. Workshop is on Tuesday, June 11th 5:30 PM – 7:30 PM at Central Oregon Diving. Cost is $45 per person. Pre-register at the shop by June 8th. 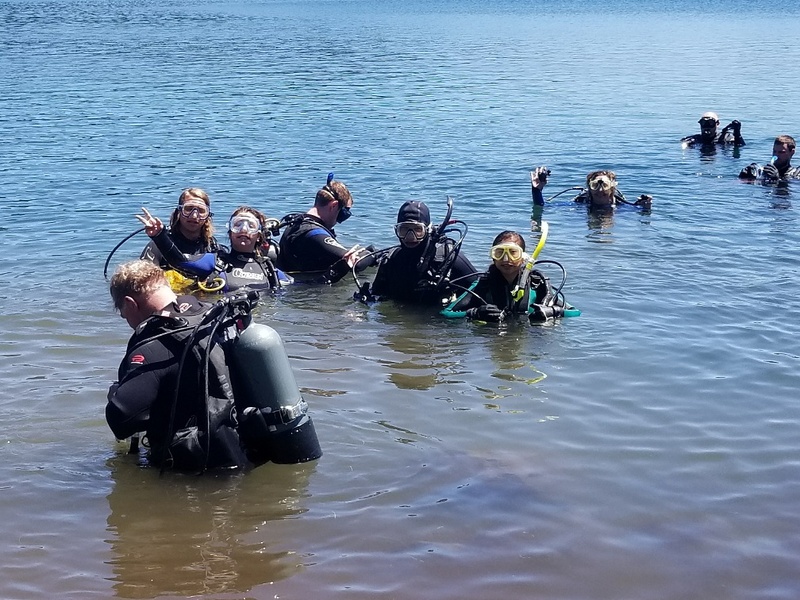 If your participating in Central Oregon Diving’s Master Scuba Diver Challenge this summer, this workshop will count towards your goal. Emergency First Response Course. 2 Year Certification in primary and secondary care first aid, and CPR. Current CPR is required for Rescue course. Do your plans this year take you to destinations that you would be diving multiple dives a day for several days? Would you like to extend your bottom time underwater to explore longer? 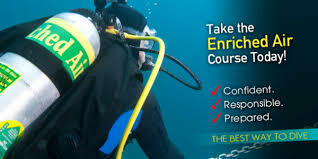 Scuba Diving with Enriched Air Nitrox gives you more no-decompression time, especially on repetitive on scuba dives. If you are not certified in Nitrox consider it today. We offer several trips that you can use Nitrox, and our Bonaire and Fiji trip includes FREE Nitrox. The course is taught with a computer, so bring your computer and know how it functions and how to navigate thru the screens and change settings. If you need to rent a computer for the evening we have one to rent for $10. The benefit of diving with a computer and nitrox is longer bottom time, so if you don't own one, you might consider purchasing one. We have several models to choose from. Receive a discount on a new dive computer after taking this course to upgrade your current model or get you into your first dive computer. This is a classroom course and knowledge reveiews are done ahead of time. Come in to sign up for this FUN course and DIVE LONGER! Space is limited!